> Combination of Manual and Automation experience. > Java, Selenium experience is mandatory (atleast 6 months to 1 year). > Good to have ISTQB certification and Agile experience. > Good to have mobile testing experience. Nagawara Outer Ring Road, Bangalore – 560 045. > Mandatory Skill: Selenium testing, Automation, Java. 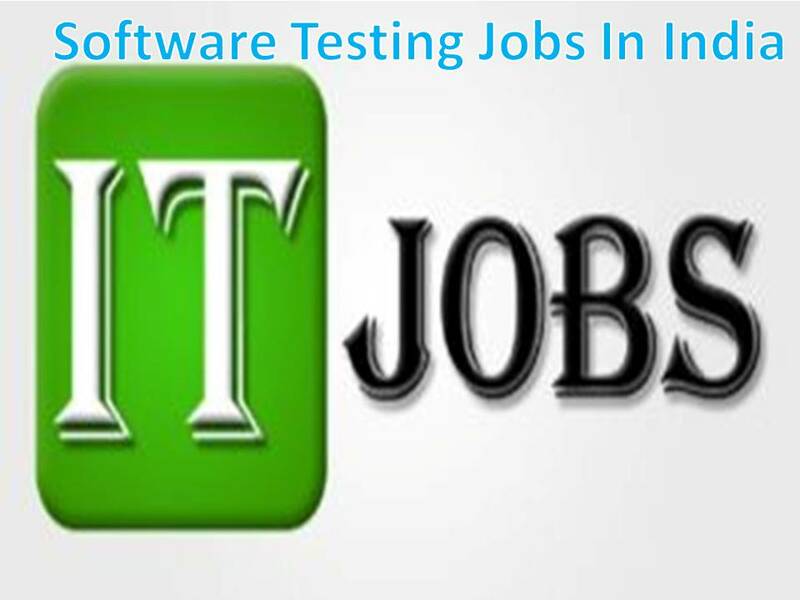 walk In Interview for Software Testing. L-306,2nd Floor, Mega Center,Hadapsar,Pune Solapur Road. OR C-210,1st Floor,C-Wing,Behind Hero Showroom,above cosmos bank,Near Micromax Showroom. > Bachelor’s Degree in information technology, or related discipline. > A minimum of 3+ years of experience in system testing of software applications. > Thorough understanding of test design and a variety of test techniques including white box and black box testing. > Experience in a quality assurance capacity on a Scrum or other Agile team. > Excellent written and verbal communication skills – must be able to communicate fluently in English both verbally and in writing. > Work experience in a the testing of Single Page Web Applications preferred. > Willingness to work with virtual and geographically dispersed teams to develop/test software. > Good understanding of multi-platform testing. > Experience testing applications on mobile devices. > Closely working in a scrum team to identify- test- requirements. > Writing test scenarios, test cases and come up with own set of test data for different test scenarios/cases. > Creating- test- environment for functional and regression- tests. > Executing functional as well as regression- tests. > Build and release of- tested code to the QA as well as production environment. > Work on automation project with the team whenever needed. > Provide support during critical business months. > Strong Understanding of SDLC and role of a QA Analyst. > Strong Understanding of software testing techniques and tools. > Good experience in using SVN, JIRA, web service testing & Confluence. > Good work experience in ALM (Application Lifecycle Management). > Have good understanding of Software testing lifecycle. > Should have expertise in various test development and design methodologies. > Working knowledge on SQL. > Good working knowledge on Agile methodology and process. > Working knowledge on SoapUI and Service tests. > Required Senior software test engineer with 3+ yrs years of experience in software industry with functional and Automation testing. > 2-3 years experience in a Software Quality Assurance role. > Experience with QA testing tools. > Write test plans/cases that meet quality goals and department strategies. > Experience with Agile development methodology is preferred. > Coordinates with development team during the lifecycle of product development to ensure smooth execution. > Setting-up test bed and executing test cases. > Tracks and document test results. Company Name : Testhouse India (Pvt) Ltd.
Company Name : Pyramid IT Consulting Pvt Ltd. Contact Company : Pyramid IT Consulting Pvt Ltd.
> Generating the Test evidences and test reports. > Should be able to give demos to BA and Users and explain the functionality once the testing is completed. > Replication of UAT and Production defects. > Helping in preparing the RCA from QA perspective for the UAT and Production defects. > Should be familiar with defects logging and QA tools. > Should have experience in test case execution, consolidation of the test results and preparing the test report and present to the customer. > Need Java and Oracle DB knowledge as some of the test cases are to be executed from back end. > Good to have the Banking domain Knowledge. > At least 2 years working as a hands-on in SDET role. > Experience in automation testing for micro services and API’s . > Familiarity with Micro services Architecture, test automation Best practices& tools ,frameworks. > Proficient with shell scripting & one or more Automation scripting frameworks. > Familiarity with tools Wiremock, JMeter, Spring cloud contact or PACT, Chaos Monkey. > Experience on Agile/Scrum based software development Methodology. > Candidate must be a self-starter with a positive attitude, high ethics, and a track record of working successfully under pressure in a time-constrained environment. > A four-year degree, preferably in Computer Science, MIS, Mathematics, Engineering, or other related field. > At least 2-3 years of software testing and/or software development. > Experience with the software tools and techniques used in automated testing (e.g., JIRA, Test partner etc ). > Strong technical aptitude, organization, analysis, and problem solving skills. > Ability to work on multiple projects with multiple priorities and ability to thrive in a fast-paced, complex, global, and dynamic environment. > Ability to work proactively and collaboratively as part of a team on a large project. > Ability to pay attention to details and to follow through on commitments. > Software Testing Life Cycle Good concepts of SQL and ability to write basic SQL queries Automation using Selenium tool and experience in API testing. > QA process, and software release cycle. Well versed with Agile methodologies. > Graduate in CS or equivalent with 3 -6 years of experience in Testing and Automation. > Hands-on experience with testing web applications, JEE multi-tier applications. > Proven experience in SQL Programming and relational database systems. > Hands on experience in implementing Page object framework or equivalent. > Managing test repository/HPALM for continuous rerun and overall reporting framework. > Idea on Cucumber/Protractor/Jasmine framework preferred. > Retail and/or Supply Chain domain Knowledge preferred. > Testing,Agile Methodology,Software Testing,Black Box testing,Regression testing. > Experience in preparing QA test plans and test cases for systems software products. > Experience in reviewing requirements specifications, design documents, and tracing requirements to designs and test cases. > Insight into how customers use software and the ability to translate that into product engineering work. > Excellent oral and written communication skills, including the ability to work effectively in a distributed team. > Understands storage virtualization, data rationalization, workload automation, storage provisioning, Disaster Recovery and SAN Fabric management. > Troubleshoots storage-related reliability, availability, and performance issues. > Strong Unix/Linux knowledge. Windows system administration skills a plus. > Solid experience with one or more of the following programming languages: C++, Python, Perl, sh/bash scripting, Java or C.